I have recently been giving a series of internal presentations about growing an effective Product Development capability, using ideas from Rightshifting and the Marshall Model as a general framework. To one slide I talk about the intellectual baggage that any e.g. Analytic-minded organisation will find itself abandoning on its journey to Radicalsville. 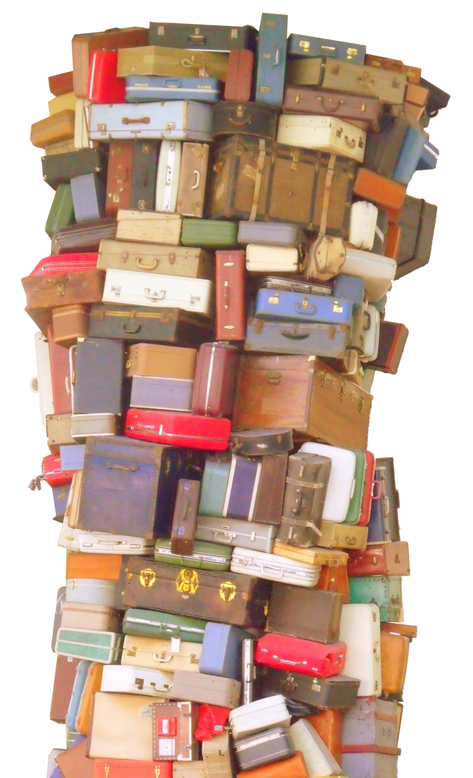 Aside: If such baggage is not abandoned, then it’s inevitable that the journey will be. Invalid premise: Management is necessary and desirable. Invalid premise: Hierarchy is the best way to e.g. organise, coordinate and align. Invalid premise: People must be told what to do. Invalid premise: Predictability is a function of tight control and e.g. conformance to rules. Invalid premise: Predictability has no downside. Invalid premise: We don’t want any problems. Invalid premise: Coercion through e.g. fear, obligation, shame or guilt does not alter cognitive function (ability to think well). Invalid premise: Jackal culture, jackal language is the best and only way to motivate and direct people. Invalid premise: Feelings and emotions in the workplace are unprofessional and out of place. Invalid premise: Productivity and performance of individuals is down to the individual – their innate talents, skills, experience and attitudes. Invalid premise: Effective knowledge-work is best achieved through factory-like conditions. Invalid premise: Efficiency is King, effectiveness a nice-to-have. Invalid premise: Highly (local) optimised parts of an organisation means an optimised (whole) organisation. Invalid premise: Cost Accounting gives reliable numbers that can be safely used to guide decisions. Invalid premise: Rationality trumps intuition, emotion and humanity. Invalid premise: Conscious thought trumps subconscious thought. Invalid premise: Man is a rational animal. Invalid premise: Organisations as machines. Invalid premise: People are as interchangeable as cogwheels. Invalid premise: Fast is better than slow. Invalid premise: Anyone gives a hoot about profits. Invalid premise: “Telling people things” means they will respond rationally and so come to see things differently, and thereby behave differently. Invalid premise: My organisation works just fine. Invalid premise: Meaningful dialogue is an unnecessary luxury. Invalid premise: Investment in e.g. organisation-wide dialogue skills has a poor or uncertain ROI and is not worthwhile. Invalid premise: Knowledge (grey muscle) work is no different than physical (pink muscle) work. Invalid premise: Extrinsic motivation raises knowledge-workers’ productivity. Invalid premise: Truths are absolute. Invalid premise: Context doesn’t matter. Invalid premise: A comprehensive plan is a necessary prerequisite to any endeavour. invalid premise: Software development is “engineering”, so it’s not knowledge work. Invalid Premise: Conforming to a standard is all that is required (to produce good work). Invalid Premise: Regular reports tell people all they need to know. Invalid Premise: “Projects” are the one and only way to organise and control work. Invalid premise: Positive feedback – let alone real compliments – are a distraction and will render people complacent. Invalid premise: Highlighting failures will help people improve. Invalid premise: Appearing reluctant to engage in a certain activity is a sign of weakness. (See also the suggestions in the comments section, below). Have you any invalid premises you feel might be worth adding to this list? “You first have to think about every thing, and make a complete plan, before you start doing things”. – people at the coalface are too stupid to make smart decisions and take the right actions. – people at the top of the organisation know better than the people who actually do the work. – It is not necessary to take an interest in and care about the people you work with.